Happy Memorial Day! In the midst of all your plans today, I encourage you to take a moment to reflect on what today is about - remembering the lives of our armed forces members that have been lost. Today, just hold your loved ones close, be kind, and truly love. The world needs a whole lot of love right now. God has really been working in my life and when I was planning what I wanted to write about and share with you all, I had just finished my quiet time, which is just when I take some time to read my Bible and pray. I’ve read some really great books and devotionals lately and I want to share those with you! If you aren’t a Christian or aren’t into this kind of thing, no worries! I have some books that I’m sharing with you that have some really great messages of how much you are loved and worthy, which I think is so important! I just encourage you to look into them and see if it would be something you might want to read or share with a friend who does believe in God. Let’s start with some FREE books! Yes, I said free. I found Stephanie May Wilson through her podcast, Girls Night, which is just so great! 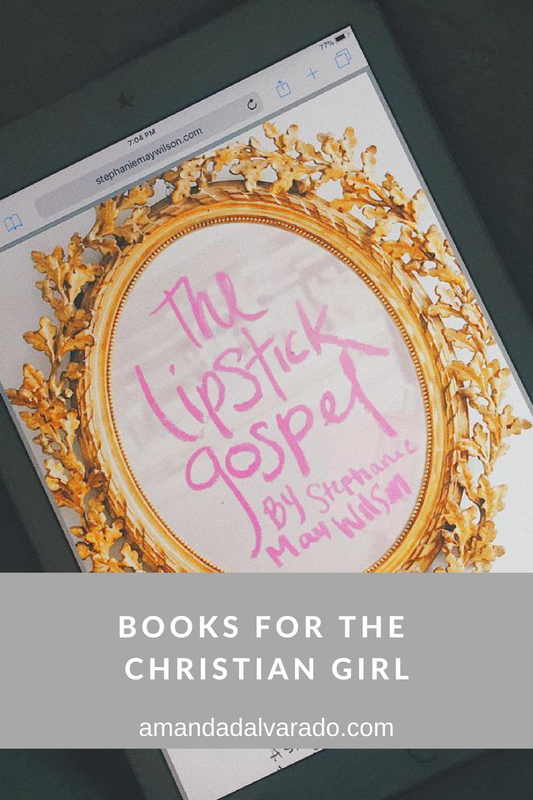 After I listened to a couple episodes, I looked her up and found her website, where I found her book, The Lipstick Gospel. This wasn’t that long ago and I just found myself in a low place. I haven’t really shared that, so hello vulnerability! I wasn’t really trusting God, spending time with Him, or even praying. I was just down, stressed, and anxious. One Friday, I got off work early and decided to treat myself to a pedicure. I was sitting there and remembered that I had downloaded her book, but hadn’t gotten a chance to read it. I started the book at the nail salon and finished it that evening. 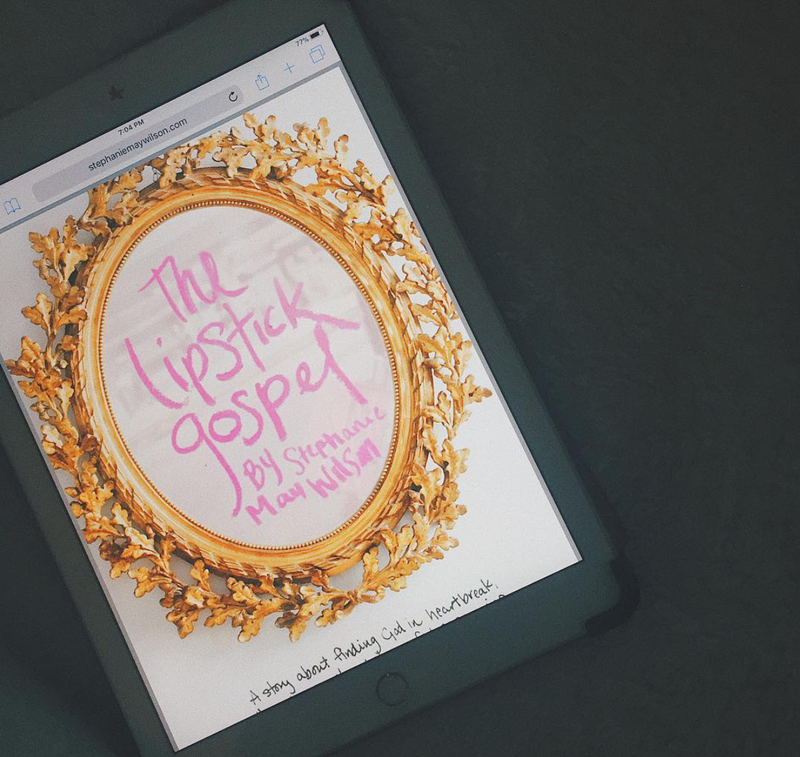 The Lipstick Gospel changed my perspective and helped me realize that I’m not in this life alone. I’m a daughter of Jesus and He has everything under control, even when I don’t think so. It just gave me hope and since reading it, I’m praying and spending time with Jesus, and talking about him. I’m happier. This book gave me hope and reminded me that God is with me. I’ve been following Jordan Lee Dooley (she’s an AOII sister!) for a while and she has so many incredible resources! If you’re looking for a good devotional, this is so great and free! It is a 45 day reading plan to “unpack the Gospel and understand its relevance in your life” and it does just that! I learned so much through this guide and it really is a wonderful devotional whether you’re a new Christian or have been a Christian for a while. 3. Best Friends, Where Are You? This is another book by Stephanie May Wilson and it is all about making friends! This is especially great if you’ve found yourself in a new place and don’t know that many people. We all need good girlfriends in our lives! I have the most incredible friends and they are truly a blessing, but making friends can be hard. This book breaks it all down for you and it’s free! Now, these aren’t free, but super affordable and worth the money! I discovered this book after hearing Christine Caine speak at a Passion conference and it has changed my life. This book is all about living a life free of shame. Christine shares her story and shows you how to “drop your baggage, pick up your freedom, and live your destiny.” Seriously, this book will change your life. After I read the Lipstick Gospel, I knew I had to get this devotional. In this devotional, Stephanie shares how living a life alongside Jesus really does make your life colorful, fun, and so much better. I’m not finished with this yet, but it has already changed my life. The book is “a reminder that there’s never anything too broken for God to heal or redeem, and a dare to say yes to the plan He has for our lives." This is really great if you’re trying to change the way you pray. Until I was a junior in high school, I went to a pretty religious and strict private school because the public schools were pretty bad where I lived at the time. It was there that I really learned about prayer first and prayers seemed grand and like something I just wasn’t smart enough or even good enough to really dive into. I later learned that praying is really just talking to God and sharing your thoughts, concerns, fears, happiness… like talking to your best friend. This prayer journal has transformed how I communicate and talk to God. There is a prompt for each day to help stimulate the conversation and lots of room to write everything you want to say. If you’re looking to transform how you talk to God, this is an incredible resource. You can get The Lipstick Gospel Devotional and Prayer Journal in a combo package, too! These books have changed my life and I think they will change yours, too! As young women, navigating life is hard sometimes and I’ve learned so many great lessons with these resources. They’ve definitely help me in my relationship with Jesus, which is the sweetest relationship that you can have. What other books have you been loving lately? I would love for you to share! I also want to add that I am always thrilled to hear from you! Everyone who stumbles upon my little internet space is my friend, so please send me a DM, comment, whatever! I’d love to talk and get to know you! Friends are so sweet!